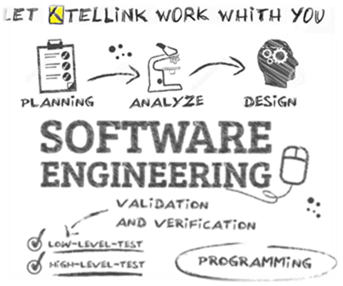 All Tellink’s software tools have been fully designed at Tellink by our Software development team, and intellectual property rights belongs to the company. In most cases, these tools are independent of the hardware communications products (either Tellink or third party), although they have some extra features when used in conjunction with Tellink’s communications equipment. Some of our applications are specifically designed to operate in conjunction with Tellink´s manufactured devices and they form part of a system. In most cases M2M solutions require that the software tools are adapted to the machines that need to be controlled, but also those software tools need to be integrated within the customer’s information systems. Tellink is fully aware of this fact, and so we offer our customers the possibility to adapt our tools to their specific needs. We can either adapt existing tools to the customer’s needs, or develop completely new tools, depending on the specific needs of our customers. Tell us what you need. If we do not have a commercially available solution then we can most likely develop it for you.